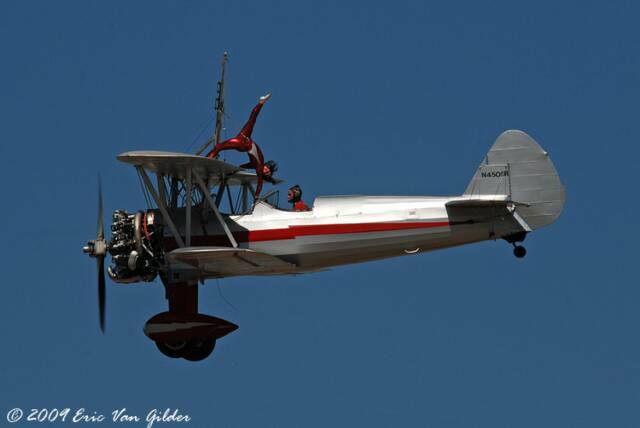 Links to Eric Van Gilder of Van Gilder Aviation photography. 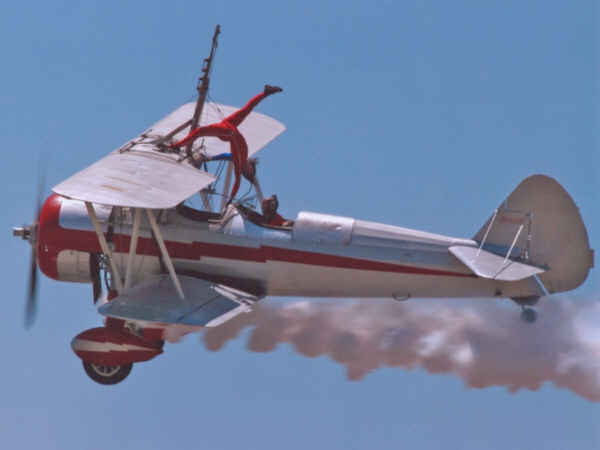 **June 6, 2006, air to air photo flight, Fokker dr1 tri-plane. 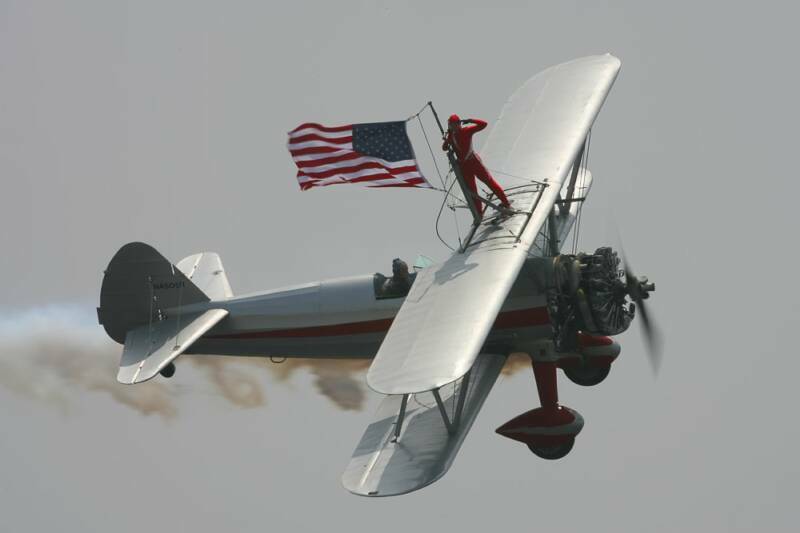 **June 6 ,2006, air to air photo flight,wingwalking. Link to Clark Cook's photos Riverside 2008. 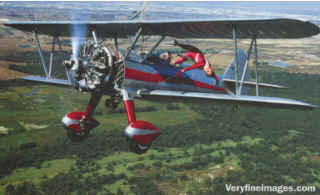 Link to Victor Archer of Archer Aviation. 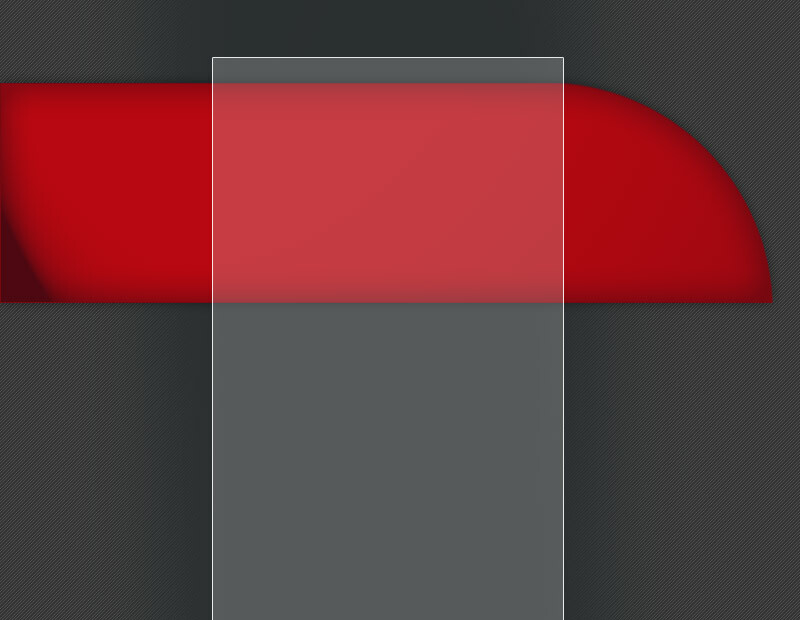 Click on Airshows. ***** Valentine's day flight photo shoot. Silver Wings in Red. *** April 30, 2007, air to air photo flight. 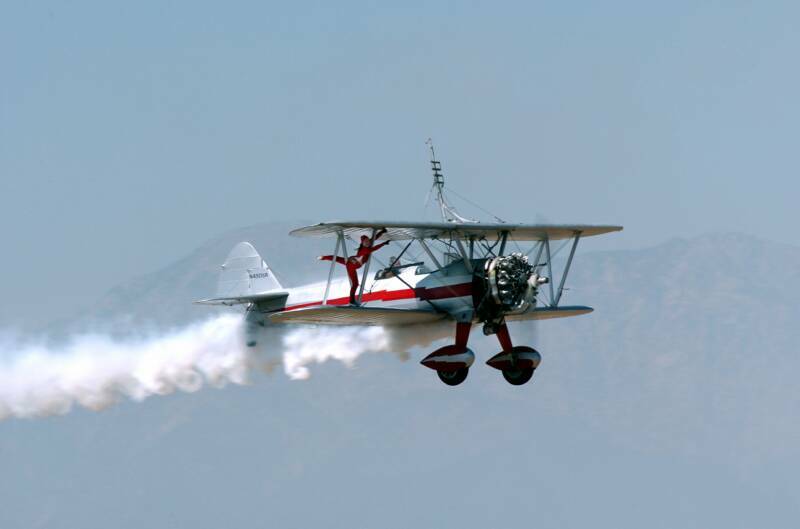 *** Link to Silver Wings Wingwalking photo at Riverside Airshow 2006. Link to Ken Cartwright photos. Clink on Hemet-Ryan airshow, MCAS Miramar and Edwards AFB airshow. Thanks for the great photos over the years. 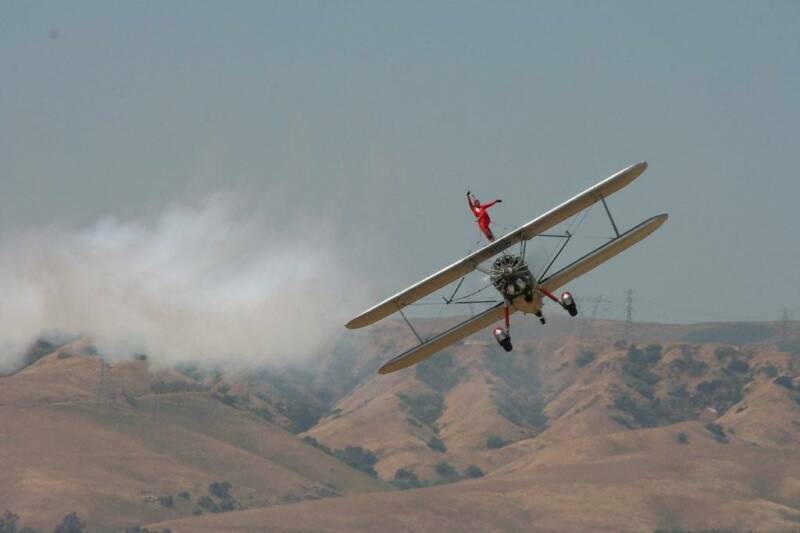 Click here for the stunt wingwalker's portfolio. Do not use without his permission. Please do not use without his permission. Photo by Eric Van Gilder. 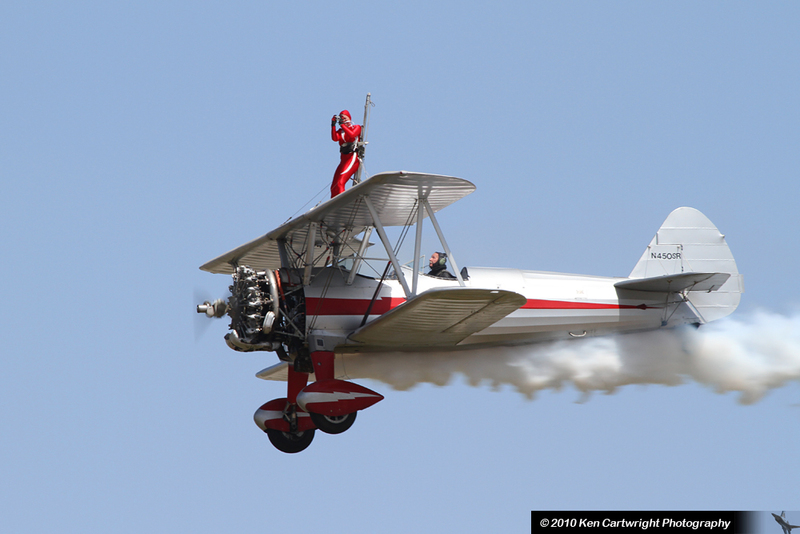 Photos from Jackie Cochran Airshow. Photo by Ken Carwright. Margi taking a photo of the crowd, "looking back at you."